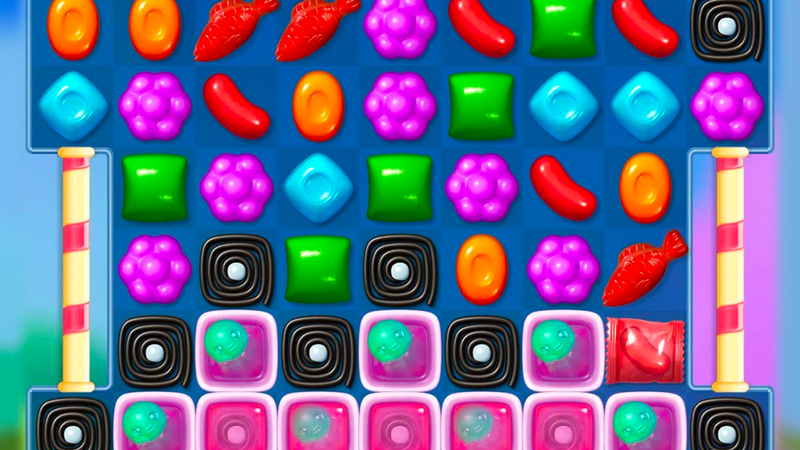 Satisfy your sweet tooth with this super colorful match-three game on mobile. Candy Crush Friends Saga is the newest mobile puzzle game from developer King. The game is a follow-up to the original Candy Crush Saga, which was released in 2012, and continues to be one of the more popular puzzle games on smart devices. Candy Crush Friends Saga is a match-three puzzle game, which asks players to swap the locations of two touching pieces of candy in order to create a match of three or more identical candy pieces in a line. The game is level-based, and each level asks players to complete a different requirement. For instance, one may ask players to rescue animals by making matches with the candy pieces on top of them. Another level may asks players to rescue octopuses that are trapped within cubes on the screen by making matches next to them. There are hundreds of levels available to complete so far, and players will encounter different kinds of obstacles as they progress. Players can create a variety of power-ups by making matches with four or more candies in a single move, or matches that are shaped like an “L” or “T.” These power-ups can clear entire rows or columns of candy from the screen, remove all candies of a single color from the board, and more. As players complete levels, they’ll collect stickers that will help them unlock new in-game characters (or “friends”), as well as costumes for those characters. Each character has a different special ability. As an example, the Yeti will place a power-up on the board every time players clear 12 light blue candies from the board in total. Candy Crush Friends Saga is available to download for free on iOS and Android devices. The game is rated E for Everyone on Android and for users 4+ on iOS. While Candy Crush Friends Saga is free to download, it does support in-app purchases. Check out the first five levels of Candy Crush Friends Saga in our SuperParent First Look below to see if this is a game you or your littles would like to play.